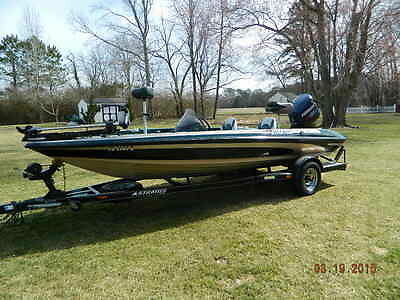 1996 Stratos 2250 Walkaround 1996 Stratos 2250 Walkaround cuddy cabin with 2007 Evinrude ETEC 225hp. Engine had 250 original hours and was completely rebuilt to brand new in 2015. Has 50 hours since rebuild. Runs great. 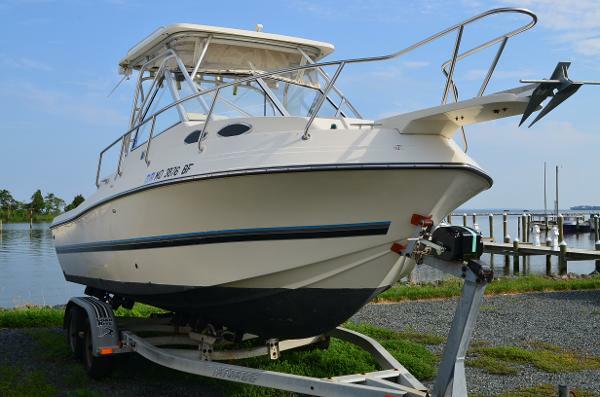 Includes older model fishfinder, vhf radio, EZ Loader trailer with brand new Powerwinch 912, and brand new oversized Danforth anchor. Interior cushions are original so they could use professional cleaning or replacement if you intend to sleep in it, otherwise everything is in very good condition. 2 owner boat. Great fishing boat for the Bay.